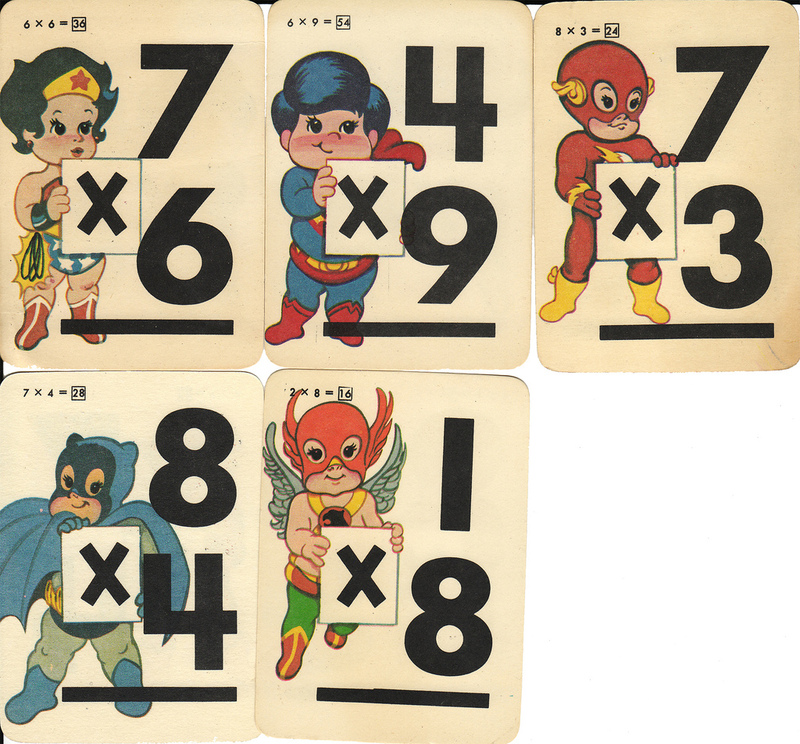 Jr. Justice League Vintage Flashcards! First of all, I am a nerd, my husband is a nerd, and we will someday have a little nerd family that loves comic books, Lord of the Rings, and all things dorky. I also love vintage/retro almost anything. SO when I saw these posted on memebase (ugh, I know, but I told you I was a nerd and so is my husband) I had a slight heart attack. Not only are they superhero flash cards, they are BEAUTIFULLY illustrated, they are super retro looking, AND they are adorable baby versions! I cannot see how these could be better. So I of course scoured the interwebs looking for these precious pieces of vintage design, but to no avail. I got this photo from flickr posted by a woman in 2007, who says the cards are as old as she is, but doesn’t know where to get any. They have been endlessly re-blogged and liked on tumblr and such, but I can’t seem to find a single place to actually buy them.